The May box was pretty much a tribute to Queen Maas. This box had both ‘Throne of Glass’ and ‘A Court of Thorns and Roses’ goodies! If you’re a fan of both series, then this box couldn’t have been any more perfect for you. 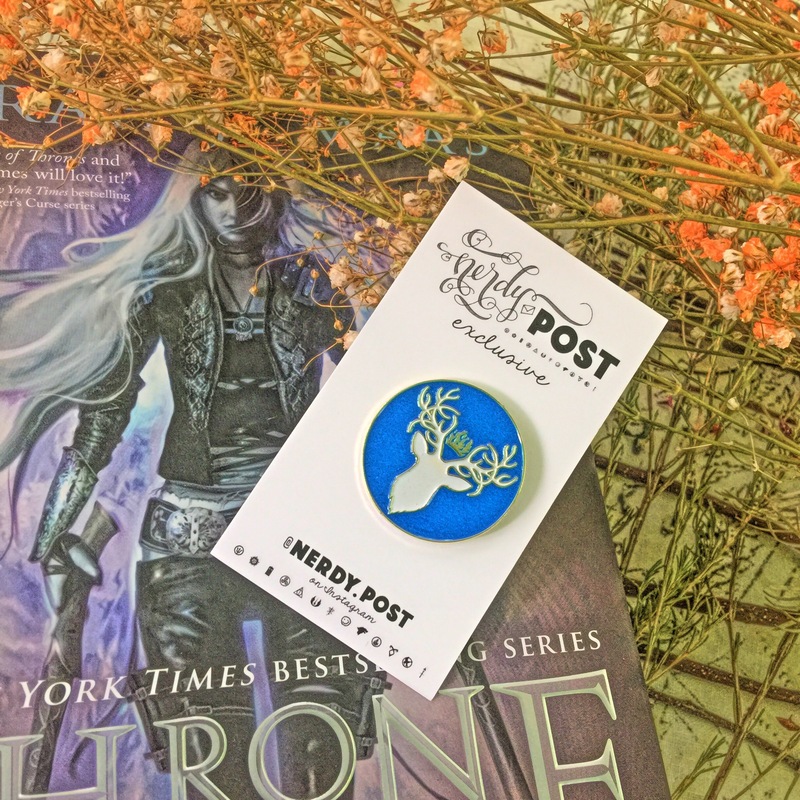 For me, I’ve never read the ToG books, so I was more excited for the ACOTAR stuff! Anyways, let’s see what this box had to offer! First up was this exclusive lapel pin of the Amulet of Orynth designed by Alexis and made by Lapel Yeah. No idea what the significance of this symbol was to Celaena, but the quality was certainly nice! The first thing that came to mind when I first saw this was Harry Potter’s patronus, haha! 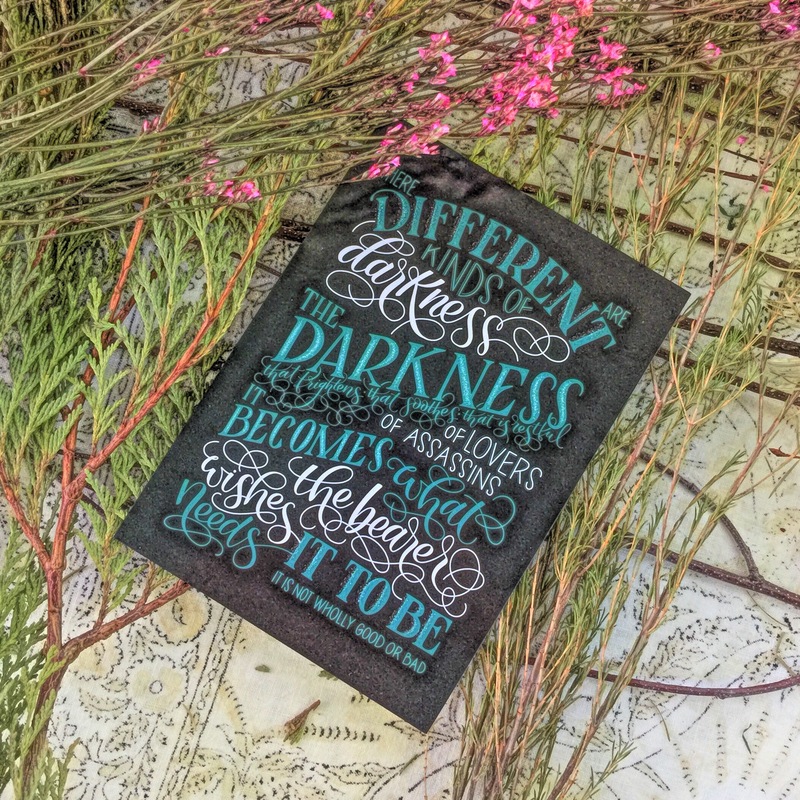 Next up was the SIDE A of this really nice quality bookmark of a quote from Celaena. I believe the words in this could pertain to all bibliophiles, whether you’re a ToG fan or not. Knowledge definitely was power if used correctly! Gotta say, these buttons were very cute! 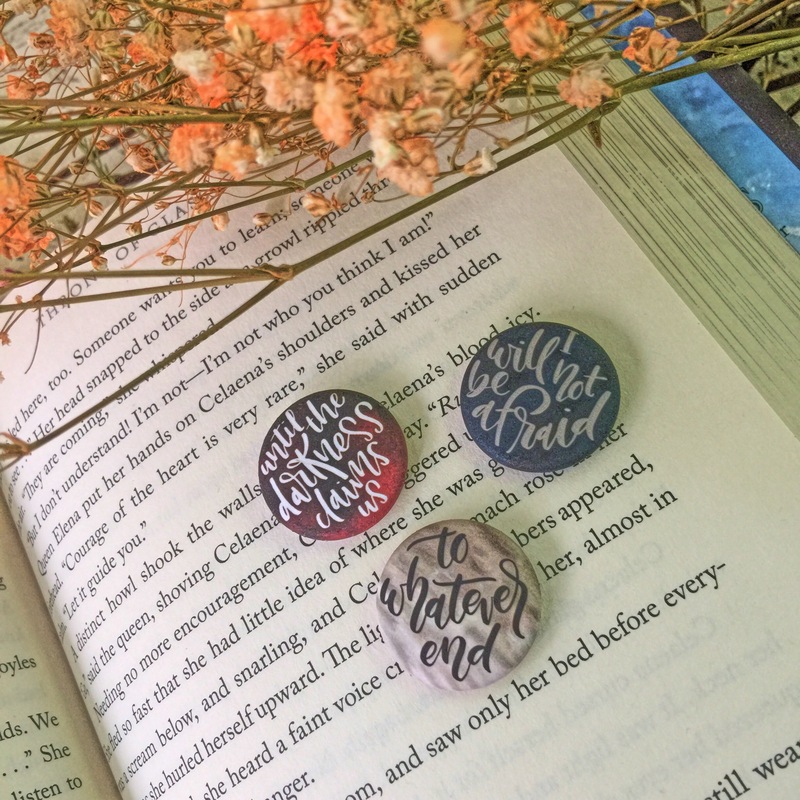 We got a Manon, Rowan and Sam quote on each button! The surface were matte, and I actually preferred that over a shinier finish. Dare I ask you again who the artist was for this adorable Abraxos poster? It’s ok if you didn’t know it was TJ Lubrano! 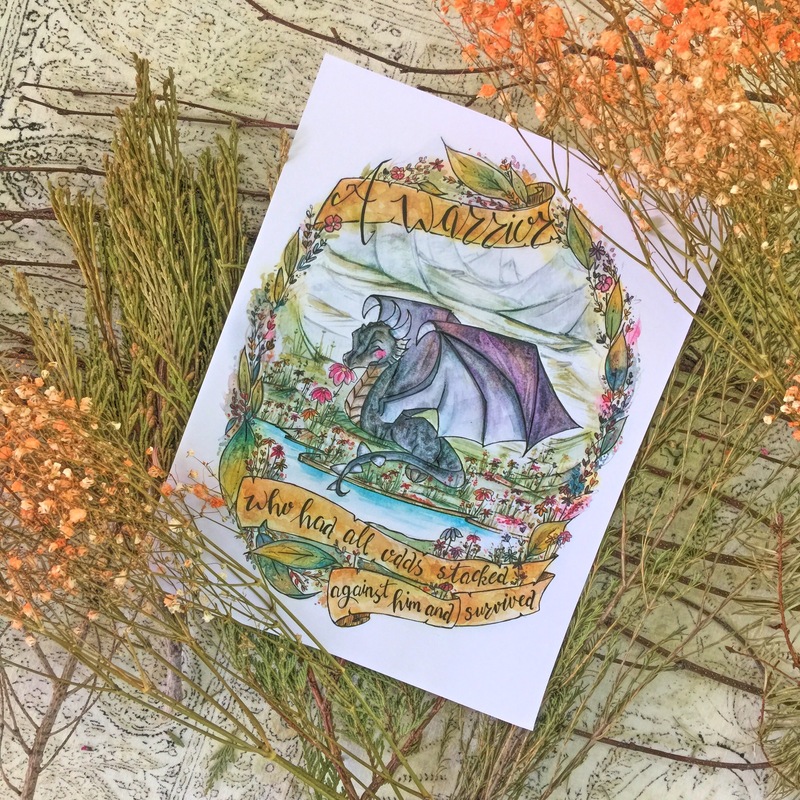 The April box featured a mini print from her as well; no complaints here! We actually got two posters for this month, and this was one of them! Let’s move on to the ACOTAR side of things! 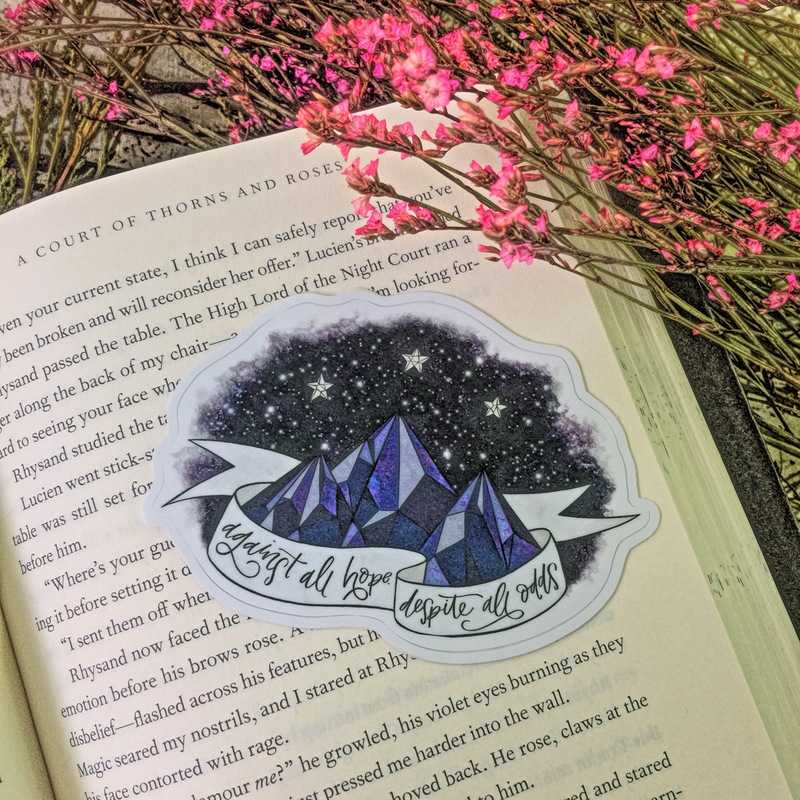 First up was this lovely Night Court sticker! 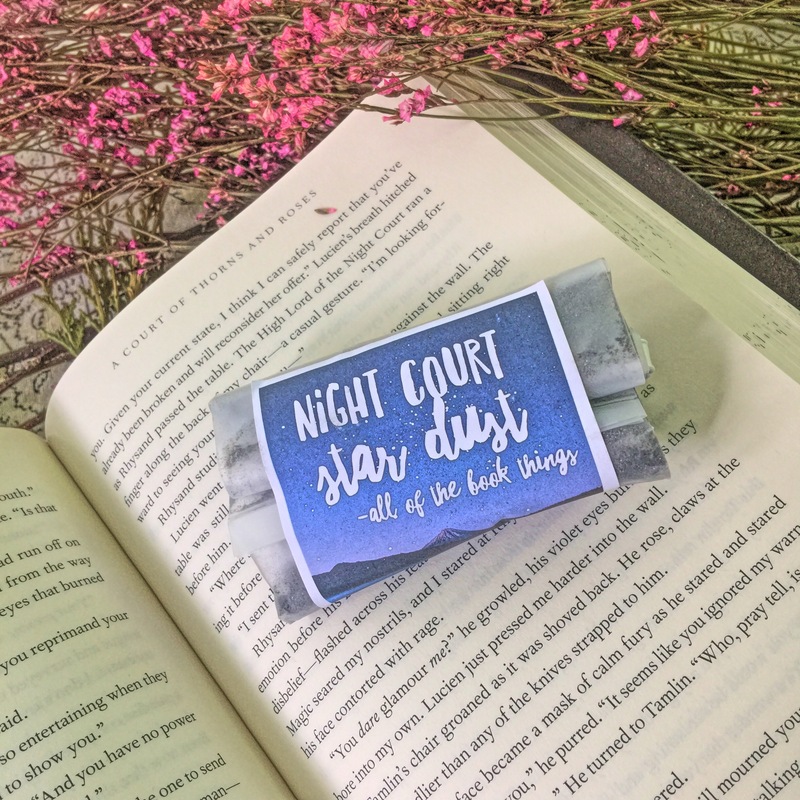 Even though I was sorted into Winter Court, I didn’t mind getting Night Court goodies because that’s where my Cassian resided! This was so pretty I don’t think I could ever use this sticker! Next was this bonus surprise from Alexis. 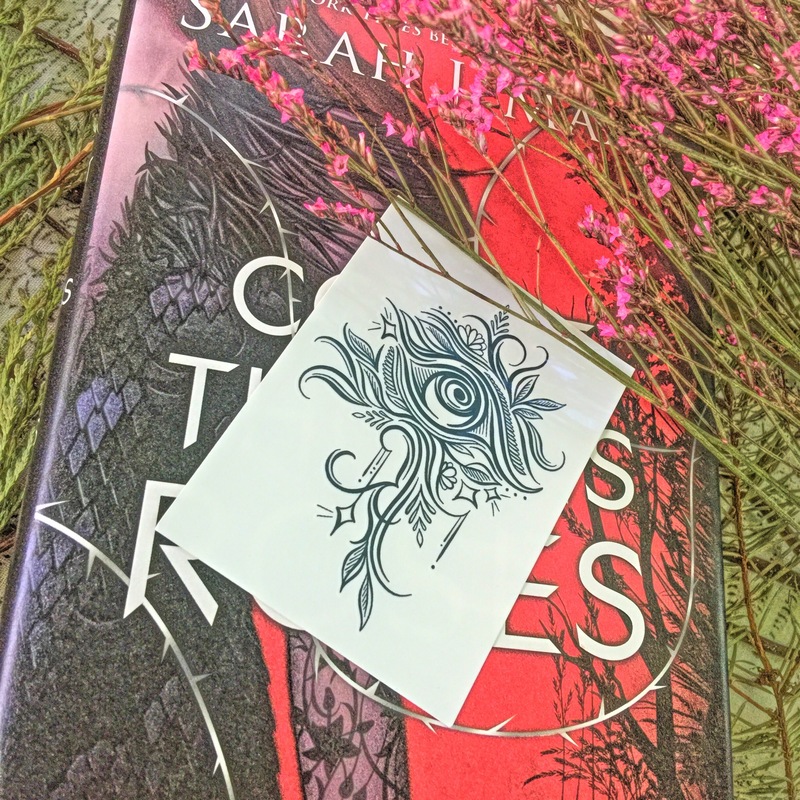 You actually either got a Rattle the Stars nail decal set or this awesome partial temporary tattoo of Feyre’s! Super happy I got this instead! 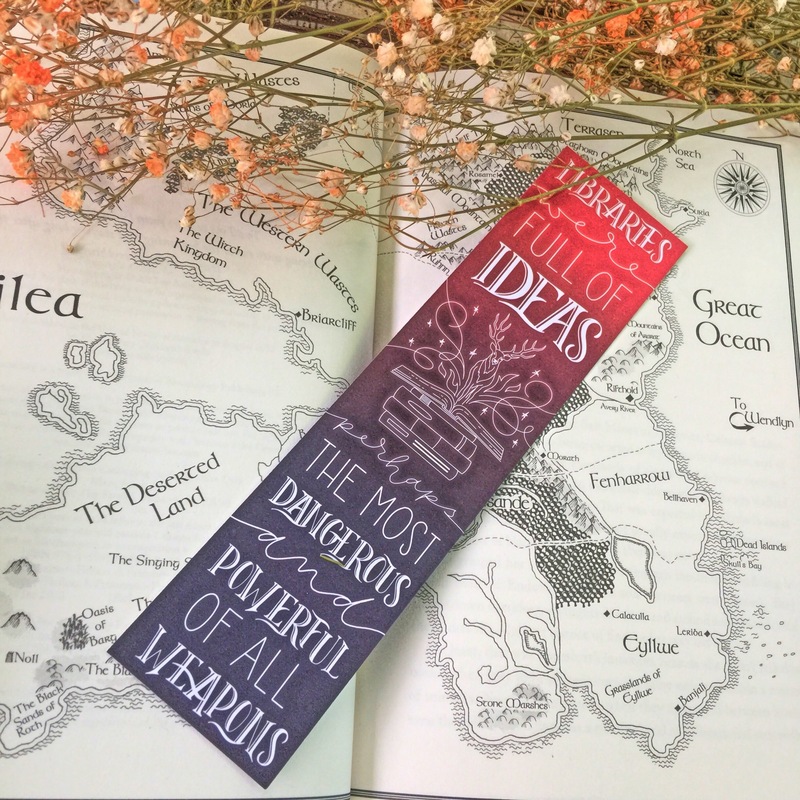 So excited to use this one of these days for my bookstagram! This Night Court Star Dust by She Wants Brains smelled so good! I wasn’t really much for using the tub, since I was a shower kinda gal, but I’d been trying out bath bombs lately! I’d never used bath dusts before, so this should be an interesting experience! I’m super excited! If you call yourself Rhysand’s wife, then there’s no excuse for you not to know where this quote came from. These words certainly proved that the High Lord of Night Court also had his tender side for those he cared about! 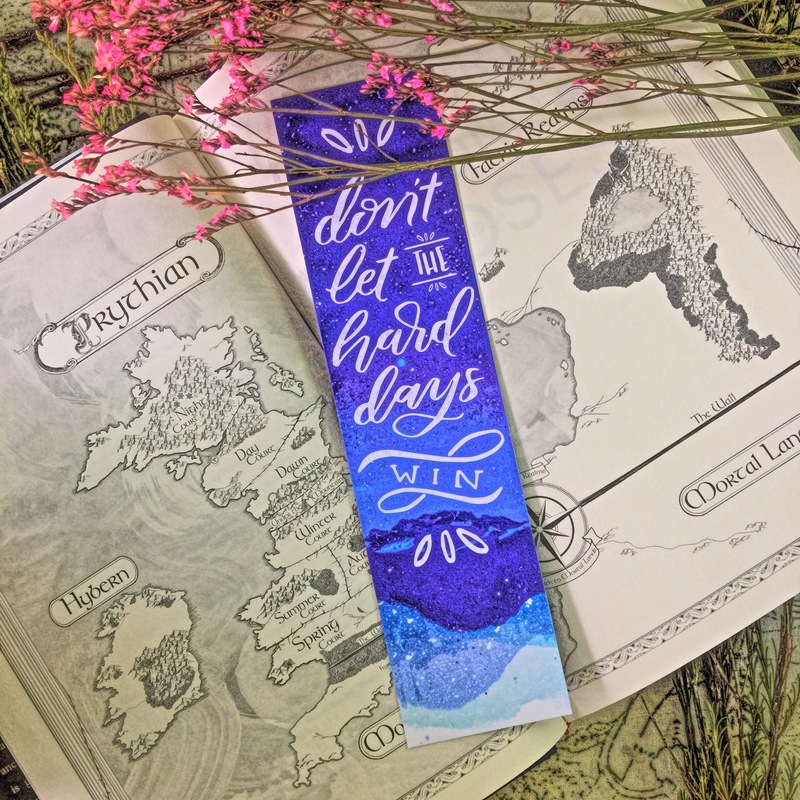 This SIDE B of the bookmark I mentioned earlier was designed by Brittney from Her Bookish Things! This Mor quote is always a good picker upper when you’re having one those awful days where you think the world is conspiring against you. This inspirational quote was the second poster that Alexis generously included along with the Abraxos one. I second doubt myself sometimes, so these words are good to keep in mind during those days! I’m really loving the fantastic selection of quotes that Alexis chose for this box! I appreciated how they were universal and applicable to anyone. 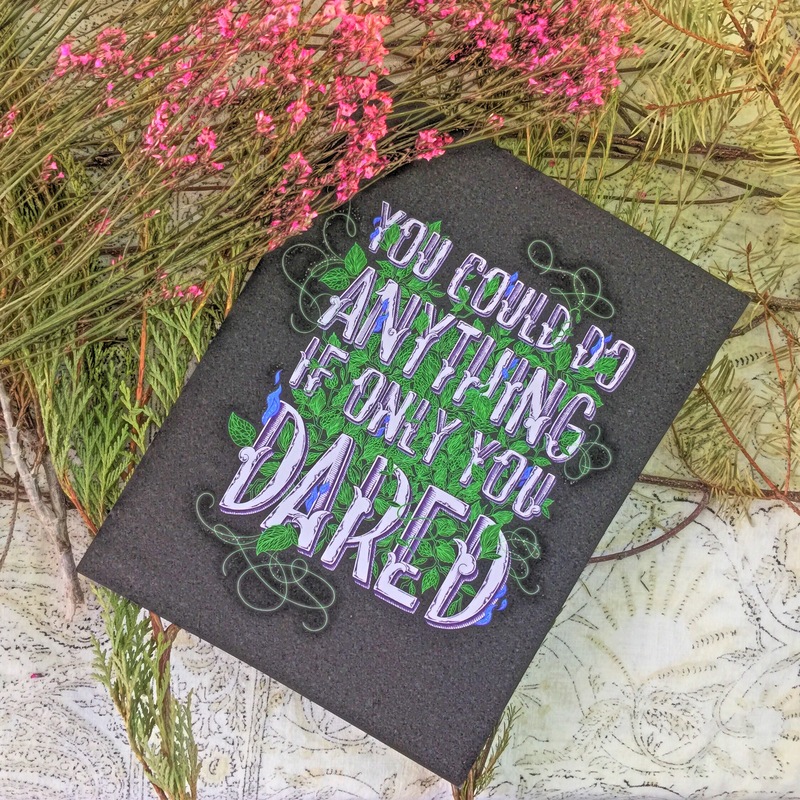 Of course, this box wouldn’t be complete without this color in post card of the meeting of worlds of SJM’s heroines, Feyre and Celaena! The design would definitely make it easier to color this compared to the intricate Smaug one from last month’s, haha! 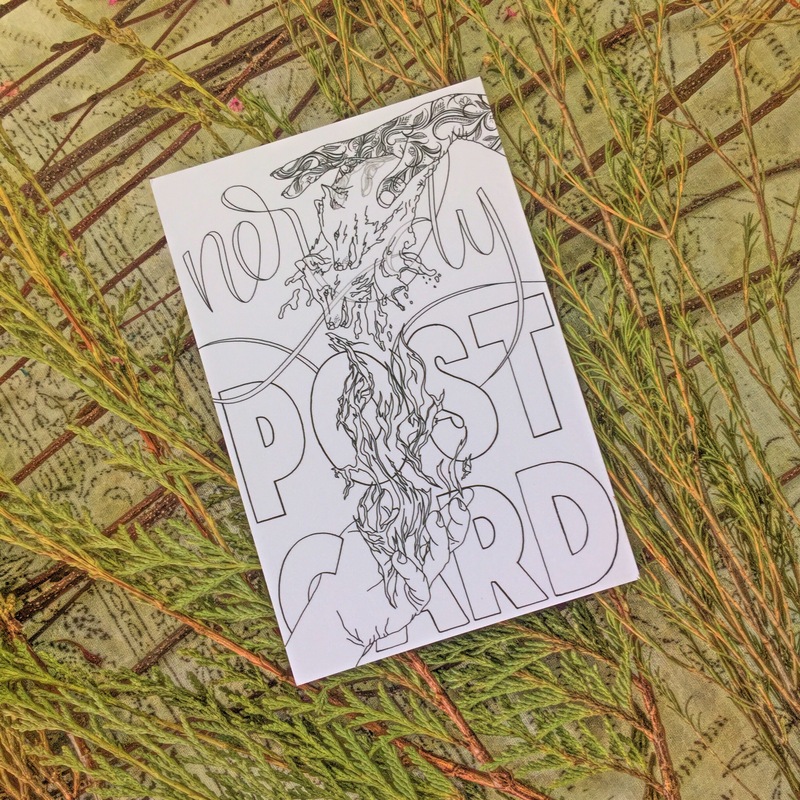 Get stoked because June will be the 1st Year Anniversary of Nerdy Post! 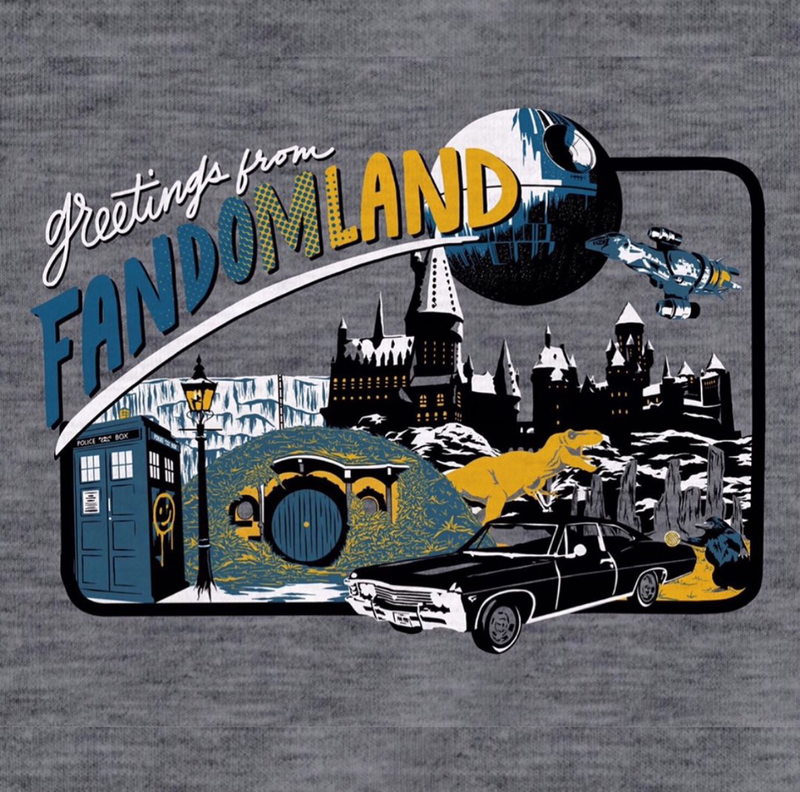 The theme will be Fandomland and so far, Alexis revealed that the box will have Hamilton, Harry Potter, Doctor Who, Pride and Prejudice, Stranger Things, Marvel, Game of Thrones, The Chronicles of Narnia and Tolkien goodies! This line up is so epic that I’m shaking in excitement! A box is only $13.95 plus shipping, so I’m not really sure what you’re waiting for! Go and treat yoself!